Gidday, this site has been a long time coming and I'm glade someone set this up. My interests are mainly US arms from WWI to Vietnam, but with a strong side interest in the "War Baby". 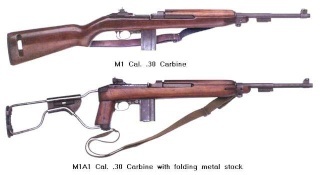 My M1 count sits at 4, I've got an Inland M1, a Winchester M1/M2, an Inland M2 and an Inland M1A1 (with all the correct markings according to my research so not a fake!) I've also got a selection of M1 bayonets, an M1A1 jumpbag, and a selection of other extras such as muzzel covers, field and armourers guides and a rare M1 Carbine Holster (yes, they made a holster for the M1 for a brief period but it was a complete waste of time!). The pride of my collection is a US Marines' personal range book, all filled in and signed doumenting his training on the range with his M1, with scores and various phases of his training all signed off. I've tried to track down more about the person who owned the book but have been so far unsuccesful. I think I have it worked out. Jester, here's some of my later ones "all dressed up". Is your M1/2 an overstamp of the 2 on the 1. Any chance of some pics ?. Mike. Yeh, it's an overstamp 1/2. I'd love to get a good example of a 'pure' M2 but all the ones at recent auctions have looked as though they've been dragged behind a car across concrete! 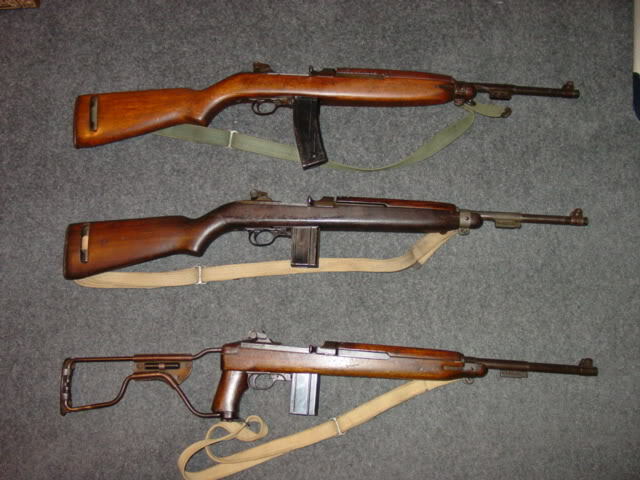 I'll try and post some pics of my babies, especially my M1A1 which is my pride and joy. Finally worked out how to publish pics. Here's three of mine, one of each model. 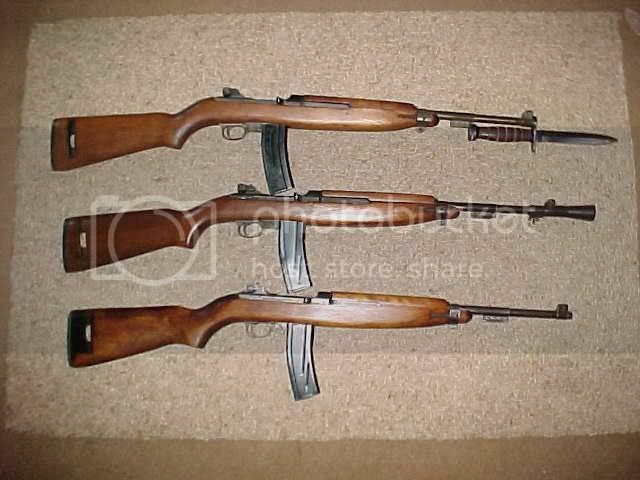 Top one is my M1/2, it was brought back to NZ in pieces from Vietnam by a vet. His wife found it in a cupboard after his death and sold it to me. Had to go through some serious dramas to get the Police to register it as a C! Very nice, well done !. Mike.